The Seals Shocker Whitewater Sprayskirt is constructed of high performance 4.0 mm neoprene and uses a top-edge Sealtex wear guard as well as rim grip/safety slip technology to ensure a water-tight fit. Extreme conditions. 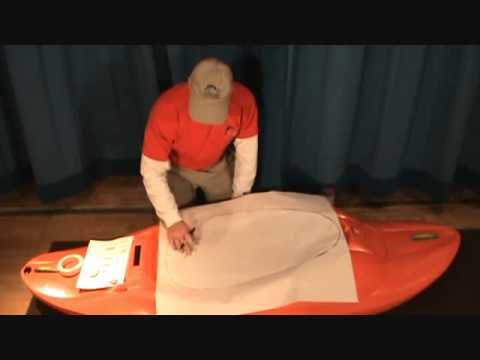 I'm new to kayaking ACK's website made finding the right skirt a breeze. Their sizing charts are invaluable. Customer service is awesome. I received a damaged product and within two days, I had a new one at the door. The Seals Shocker Sprayskirt was all I expected it to be. At the end of a 6 mile class 2+ run, I literally had less than a cup of water in my boat and I think that most of that was from exiting and reentering the boat. The price was also great. I have found my goto kayak accessory supplier. Excellent spray skirt, easy to put on and easy to take off underwater. Keeps boat dry during rolls. This skirt fit Mamba, Recon and Fun. I'm new to kayaking so I don't have anything to compare it to, but so far it's working. Excellent product that works perfectly as designed. It never leaks, and it is comfortable and easy to install compared to other skirts that I have used. The Seal's Shocker is a nice skirt for the money. EZ on/off. Keeps the water out even while playboating. I've never had one implode on it's own in heavy whitewater use. Last 2-3 seasons of frequent use. Bought for an older Seda Glider, maybe early 90's. Fits boat great. I'm almost 6 feet tall so wanted standard sizing and medium me fits well. Nice product. Arrived super fast. Very happy with my purchase. I have other spray skirts including harmony, reed and bomber....I keep coming back to the Seals brand. it does its task well. I've torn up a couple of them, and the Seals folks have stood behind their product. I will continue to use Seals skirts and continue to recommend them. Interestingly, I have used the 1.7 skirt on a boat requiring a 1.4, while it was not a stellar fit, the 1.7 did admirably well in keeping me dry. It stayed on surf kayak when waves pummeled me. When I first tried it on it was a challenge to fit into. First time in the water it loosened up and now fits well. It does a decent job keeping the water out. I really like the wet exit handle design. Overall happy with my purchase. Definitely would buy from this company again. My Seals spray skirt fits my boat perfectly! Tight enough to keep water out but easy to get on and off. Its really water-tight. Ill buy Seals products in the future in preference to other brands that offer small, medium, and large. Ill not waste any more money on one-size-fits-all products. The price was low considering the quality and shipping was fast. My second Seals skirt for wwk. I like em, easy on, dry. No complaints. I particularly like their deck sizing--makes it easy to pick the right one for the cockpit. very good product, highly recommend,, i live in upstate ny, by pa border. ACK is also a great company to do business with..purchase a lot of paddling gear for my son and myself.. The best skirt. Used it in the surf on my Tempest and worked great. Good fit and function. Great skirt for a reasonable price. Seals sizing makes it a real custom fit for your boat. A vey good quality product that fits and keeps me dry, inside at least. Price is resonable. Item came fast and I am very happy with the quality. This my third Seals shocker. The first lasted for 5 years of sea kayaking. I recommend them to all my kayaking friends. They seal well and stay on. Solid, well made skirt. Goes on without too much trouble and stays on while plowing through waves. We'll see how it wears. I also ordered a paddle that was on back order and ACK was great about splitting the shipment for me so that I could get my skirt right away. Thanks! Excellent product. Arrived quickly. Like all new skirts, it was a bear to put on the first time, but it became easier quickly. This was the skirt my local outfitter recommended and I have been very satisfied. fits my boat very well. i like the seals sizing system. fits perfectly. very well made. i have a nylon seals sprayskirt and cockpit cover for my touring kayak and a cockpit cover for my whitewater boat that i was very happy with so i went with seals for the neoprene skirt and am glad i did. great product. I would purchase in this site again. I had to change one product because it did not fit well. I was able to call the store some answered fast, send me the information that I needed, and exchange the product without excuses. This is my 2nd seal skirt. The shocker is top-shelf in quality. Easy to get on and robust enough to hand really rough water conditions. The Seals Shocker Whitewater Sprayskirt is a good skirt. No problems. The Seals Shocker Whitewater Sprayskirt is a perfect fit. Secure and dry. Thanks. I got the Seals Shocker Sprayskirt to use on my Jackson. I just finished a three day whitewater weekend and it performed very well. It stayed secure and kept me dry during many, many rolls. It was definitley a good purchase and you will not find a better place to do business than Austin Kayak. This skirt fits my boat perfectly, just like I would expect it, and is great at keeping water out. First class product, quality materials and workmanship. Seals seems to have more sizes to fit your boat's keyhole than other brands. My Seals Shocker fits my boat great, goes on/off easily and most importantly - keeps the water out. The folks at ACK are knowledgeable, professional and friendly. 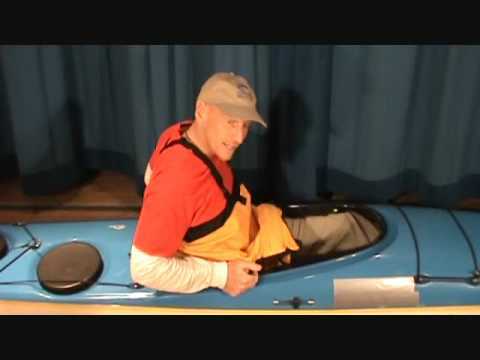 Nice tight fit - ok, so I bust a gut putting it on the very first time - but it got easier with use and it keeps me dry in choppy waters or when using my Greenland paddle. The tunnel can be folded down if a shorter bodied person finds it too long. Snug without restricting. This was a good buy! 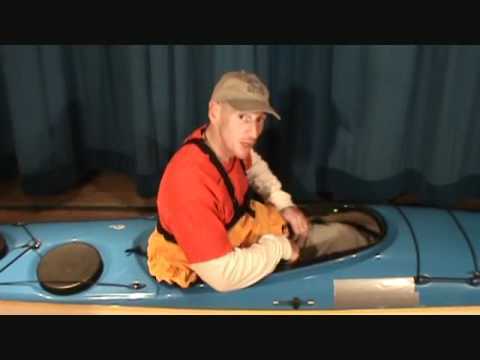 Q: I have a kayak with a cockpit opening of 32x17 (inside measurements). Why don't you have a sizing chart on this basis? My boat is an obscure brand not in your database. 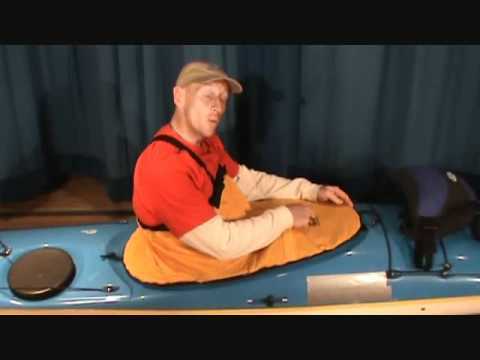 Also, I've rolled another old glassfibre kayak with a mongrel skirt years ago, why are some of your skirts not "rated" for rolling? I'm not looking for a medically sterile rolling skirt that keeps biological contamination out, just something that lets me come back upright without a hull full of water. Not heavy whitewater, I'm not going over Victoria Falls. I very much like your products, but you make it difficult for the random customer who's got a mongrel kayak and wants to get on the water. That's the whole point, right? A: Hey thanks for the question. I am sorry for the inconvenience regarding the sizing of these spray skirts. They are not the easiest to classify sometimes. We have a 32/18 Harmony gear spray skirt which should fit on your kayaks cockpit. http://www.austinkayak.com/products/6729/Harmony-Fusion-Kayak-Spray-Skirt.html If you are looking for a little bit better skirt like the Seals Shocker then I believe the 1.2 will be your size. http://www.austinkayak.com/products/1159/Seals-Shocker-Whitewater-Sprayskirt.html If you buy one of these and it does not fit we will be happy to refund you. Let us know if you have any other questions.